There are a lot of things to consider when planning your Spanish destination wedding. The style of wedding you want, the location and the date are all important factors – yet few realise that there is also a vast array of choice regarding what part of Spain to choose and how that will affect your budget, guests and big day. Are you looking for somewhere accessible, or remote? Do you want to throw a huge party, or a more intimate affair? How important is it to you that all suppliers speak English? And what is your budget? All this can be determined by the location. 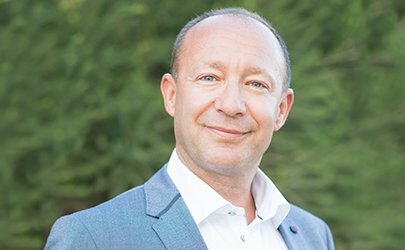 Today I’m talking to Scott, director of leading wedding planners Sunshine Weddings Spain, who will be discussing the best places in Spain in which to get married, and what his bridal couples are looking for when planning their special day in the sun. Location is key. Not only is it important that guests can get there easily (you don’t want to make it too expensive or difficult for those you love to attend your wedding), but it’s also vital that the destination is a reflection of you as a couple. Over the years I have also planned weddings in the Caribbean, Ibiza and Barcelona – but I keep coming back to the same two key locations: Mallorca and the south of Spain. There’s a reason for that, and that’s because they both offer such a variety of choices regarding everything from venues to suppliers. Most bridal couples are restricted regarding budget. If a couple are looking to marry abroad, what is the most cost-effective location in Spain? It depends where that couple is coming from, but compared to the majority of Europe Spain offers great value for money – the southern coast more so than Mallorca. One important factor when choosing where to marry is that your guests aren’t put out. Malaga is the third biggest airport hub in mainland Spain, meaning that visitors can reach the south of Spain with ease from nearly anywhere in the world, not to mention the high number of daily flights available by budget airlines. Mallorca is a little more limited on direct flights, but is still very accessible – even by boat and ferry from the other islands. Regarding costs for the bridal couple, the south of Spain is generally 30-35% less expensive than Mallorca. The reason why we stopped offering weddings in Ibiza and Barcelona was because the variety of venues was limited, and the prices were higher, but the south of Spain has some exquisite venues that are really affordable. We also work with a huge choice of English-speaking suppliers, and as Spain isn’t an island there is a bigger choice of caterers, photographers, florists and cake makers. It’s also about the hidden costs that we like to save our couples. The venues in Spain (as opposed to the islands) don’t charge extra for chair or table hire – and sometimes include decoration, a cake and table centrepieces. There are options for everyone! Is there much difference in the weather in different parts of Spain? Definitely. If you’re looking for guaranteed sunshine, then stick to the south and the islands. Spain is a fantastic place in which to get married during the winter. Not only is there an abundance of blue skies and sun, but the temperature isn’t too bad either. In fact, during December it can reach up to 20-24C during the day sometimes. Mallorca is a little more temperate, and it’s generally 4-5C cooler than the mainland. November and January tend to be the rainiest months – but then it’s only the odd storm, you rarely get the constant cold and drizzle of the UK and Ireland during the winter. Do bear in mind summer weddings can be very hot though, especially on the southern coast of Spain. Most of our couples marry at sunset to avoid the heat as it can get unbearable mid-August. Mallorca isn’t as extreme in the summer and reaches an average of 28-30C. What do you say to people who are struggling to choose between your two main locations – the south of Spain and Mallorca? This is something that often comes up, and I’m very honest with them. Mallorca is famed for its opulence – the understated elegance of its villas and marinas. The south of Spain, on the other hand, is known for its glitz and glamour but unfortunately carries with it the outdated stigma of cheap package holidays. It’s not like that at all. In fact you can get exactly the same in the south of Spain as you can in Mallorca – but it will cost you less. The Costa del Sol and the surrounding countryside has some of the most stunning villages, churches and venues you will find in the country. From three-hundred-year-old fincas and five-star hotels with sea views, to beach clubs and private villas…it’s a far cry from the areas gaudy reputation. I’m always amused when we show couples around the Costa and they are amazed that this area has been hiding such stunning locations for so long. It really needs to be seen to be believed. 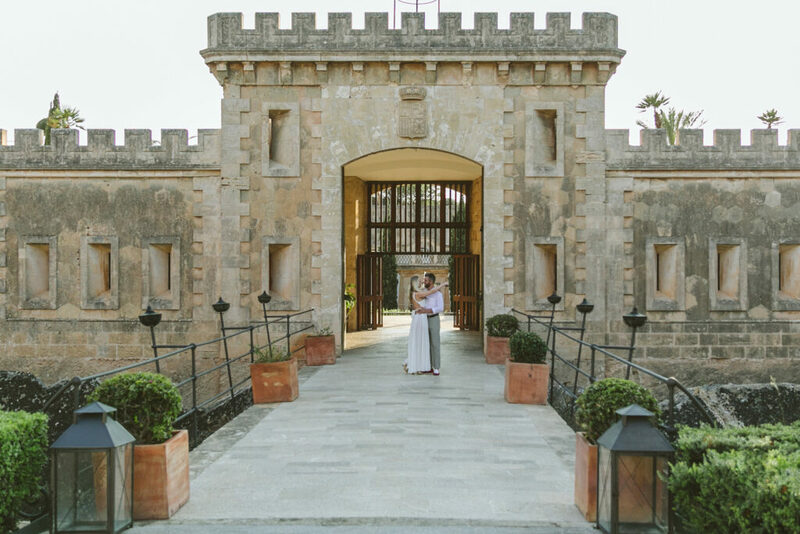 To find out more about venues and locations for your big day, whether you are looking to marry in Mallorca or the south of Spain, do get in touch with one of our team. There’s a very good reason why Spain is the number one destination wedding location for Brits marrying abroad!